TOKYO -- Nissan plans to widen its financial misconduct probe to investigate possible malfeasance at its alliance joint venture entity with Renault and a host of European subsidiaries in a move that could trigger more criminal charges in the wake of the indictment of Carlos Ghosn. 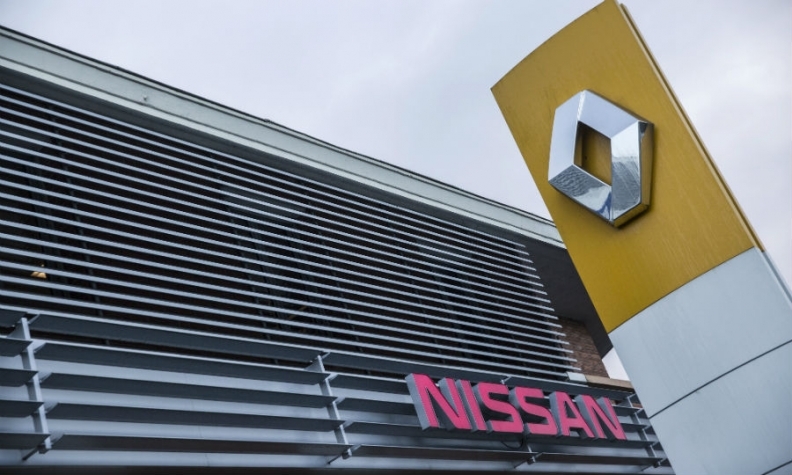 A top priority for investigation is Renault-Nissan BV, the Netherlands-based joint venture owned 50-50 by Nissan and Renault, three people familiar with the issue said. Nissan is also targeting as many as a dozen other Nissan-affiliated subsidiaries set up in the Netherlands, one of the people said. Japanese prosecutors are already looking into some the companies with Nissan’s assistance, and the probes could last months, the person said. The expanding dragnet could lead to more criminal charges, one source said. A Nissan spokesperson declined to comment on the matter, and spokespeople from Renault did not immediately respond to messages. The new swees comes on the heels of an initial internal probe that Nissan says unveiled serious financial misconduct by former chairman Carlos Ghosn and top aide Greg Kelly. It also signals a new stage in the scandal that could bring investigations to Renault’s doorstep in Europe. Opening the second front could also undermine any hope of quick resolution and further complicate delicate relations between the Japanese and French automakers. Prosecutors arrested Ghosn and Kelly on Nov. 19 and indicted both on Dec. 10 for allegedly not reporting 4.9 billion yen ($43.3 million) of compensation over the 2010-2014 fiscal years. Ghosn has denied wrongdoing, Japanese public broadcaster NHK has said. Kelly’s lawyers have also said Kelly maintains his innocence. If found guilty, each could face up to 10 years in prison. Ghosn is nominally still chairman of the Renault Nissan Mitsubishi alliance, which is represented by the Renault-Nissan BV entity based in Amsterdam. Nissan has approached Renault to conduct a joint investigation of the alliance entity, one person said. Nissan cannot conduct a full review of Renault-Nissan BV without the help of its partner, given the 50-50 ownership structure. It was unclear how or whether Renault responded. Nissan began sharing evidence of its initial internal probe that led to the arrests of Ghosn and Kelly with Renault’s corporate lawyers this week, one of the sources said. Renault has said it has begun a similar investigation of its own operations. Also still under investigation is Zi-A Capital BV, another Netherlands-based entity Nissan set up in 2007 as a venture capital company. The company was flagged by Nissan auditors who could not find evidence of venture investment, a person familiar with the case said. Zi-A instead seemed to be paying for real estate that Nissan now claims was acquired for Ghosn’s personal use. The subsidiaries were established in the Netherlands, partly because it was seen as a kind of neutral territory between Japan and France. The Netherlands also has lower tax rates than Japan and more relaxed rules governing the disclosure of executive compensation. Nissan’s board dismissed Ghosn as chairman three days after his arrest and is scheduled to meet Dec. 17 to appoint a new chairperson. Ghosn remains chairman and CEO of Renault, but the company has appointed interim leaders to assume his duties while he is detained in Japan.